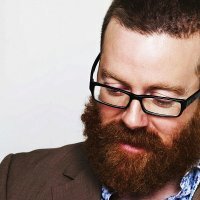 If Frankie Boyle punches just half of the people he's saying he'd be happy to during his gargantuan 2010 UK tour, he will have sore knuckles, or worse still a broken wrist. In fact, it may well be prudent to get some advice from David Haye - we hear he's quite good at that sort of thing. Newly extended, Frankie's 'I Would Happily Punch Every One of You in the Face' 2010 UK tour now includes almost ninety UK dates, which must surely be a record? Tickets are on sale now starting from £20 - gum-shield not included.